Update 2018: Lloyd's is currently closed, but just down the hill, across from Crocus Bay the Lloyd family has beautiful and affordable vacation rentals. 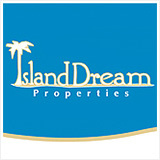 To see more on these rental units, only a 5 second walk to the beach, click here! 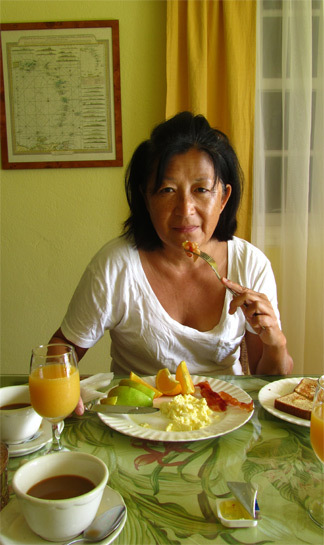 Lloyd's Bed and Breakfast was reviewed by Nori Evoy. 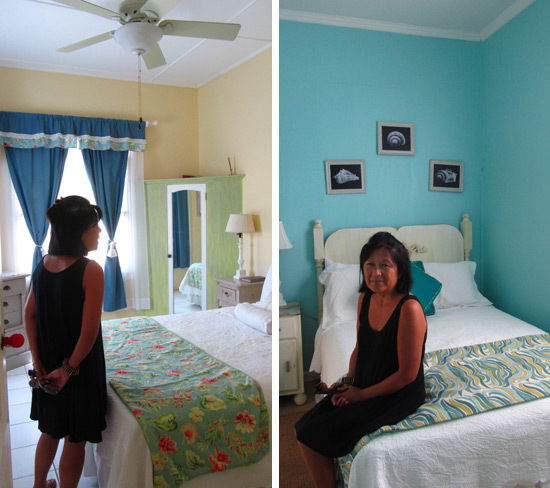 Charming rooms for under $150 per night, including breakfast, Lloyd's B&B is one of the top deals on the island. 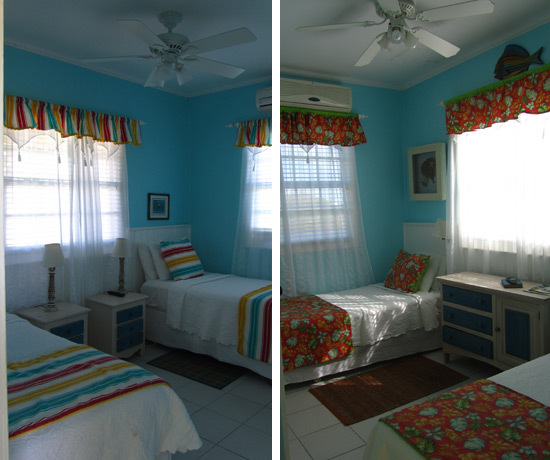 Centrally-located, a 5 minute walk from Crocus Bay, and with a staff devoted to ensuring your stay is happy and comfortable, this B&B is a top-choice for budget travel to Anguilla. Anguilla can be an affordable vacation destination. You just have to know how to do it right. 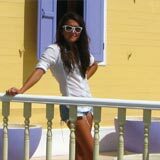 Getting to Anguilla, getting around Anguilla, sleeping, eating, beaching... The trickiest cost to minimize? Accommodations. 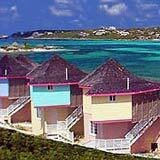 Cheap Anguilla hotels are hard to come by. 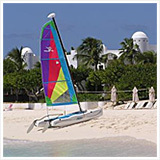 Anguilla isn't St. Maarten or Jamaica with hundreds of packages and $100-200/night room deals. 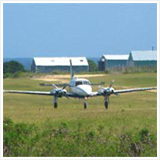 That is one of the aspects that makes Anguilla so coveted. 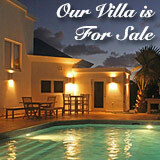 Most Anguilla hotel rooms (and Anguilla villas) generally start at $500/night. 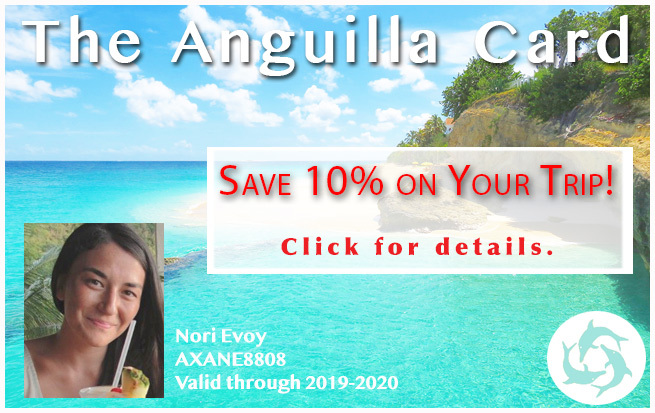 At $145/night (for double occupancy), and $99/night (for single occupancy), this Anguilla B&B meets most budgets without compromising the natural charm and authenticity of an Anguilla vacation. 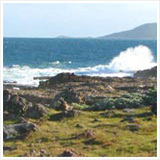 Reach Lloyd's online: Click here to visit Lloyd's B&B online. Lloyd's has always held a special place in our hearts and has been the subject of much affection, not just from our family, but many long-term travelers and locals alike. Lloyd's Bed and Breakfast is the island's first hotel. 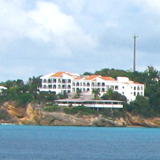 The Lloyd family opened this Anguilla hotel back in 1959. Then, it was just ten rooms. Then, it was referred to as Lloyd's Guest House. They dubbed it a "guest house," as each traveler was treated as though a guest in the Lloyd's house. Everyone became family. Lloyd's is not just a B&B. It's a true piece of Anguilla history. It's hard to imagine what it must have been like to be a tourist in Anguilla in 1960, way before electricity and running water. The same family still runs and owns Lloyd's. Vida and David, our good friends and co-owners of da'Vida, are the magic behind the scenes today. A feeling of unity and family remains a large part of the Lloyd's experience. The Lloyd's ladies, Merline, Hosapha and Maura, are wholly responsible for those warming, comforting feelings. 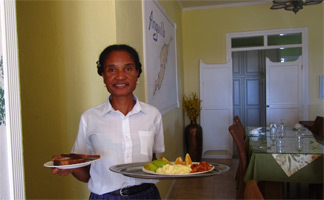 They greet you, cook you breakfast, and ensure you're happy and right at home throughout your entire stay. Maura is known as the expert chef, Hosapha is generally at Lloyd's in the evening, and Merline is the overall manager. They have been a part of the Lloyd's family for several years. She has been working at Lloyd's Bed and Breakfast for over 20 years. For many repeat guests, you don't feel truly at home in Anguilla until you see Merline again. Before all of the Moorish and Mediterranean inspired villas and hotels, there was one source of inspiration for design... the Caribbean. Bright and rich colors, wooden fixtures, wicker. These are the elements that make up Lloyd's design. 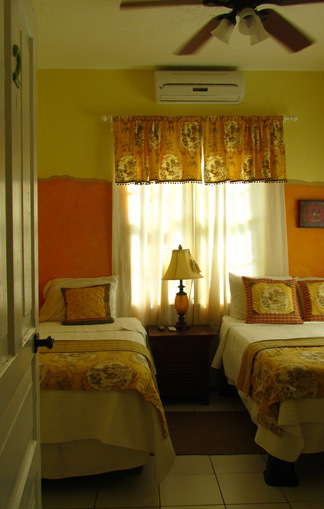 This B&B is as authentic and true as Anguilla's adorable goats, and mouth-watering pig-tail soup on Saturdays. This is the real Anguilla. Today, Lloyd's has 13 rooms. The building is the original structure, made of cement. Most Anguilla homes are built out of cement since hurricane after hurricane tore down the classic wooden ones. Painted vibrant colors, the building is charming and lends itself to a gentle cooling breeze. Beyond the threshold of the front door, there is a spacious shared sitting room (with TV, book case and WiFi), and an open, breezy and bright breakfast room. Skeleton keys in hand, Merline continued giving us the tour. My Mom, being a big history buff, was excited to see the rest of this historic establishment. The living room and dining room were impressive, but I was skeptical that I would find stuffy, out-dated bedrooms. Afterall, this is Anguilla's first hotel. Was I ever wrong! Each room was picturesque and fresh. Vida assured me that every room had been renovated recently. They actively work to keep them updated. Each room features a small bathroom with shower (and hot water! ), a small T.V., ceiling fan and air conditioning unit. 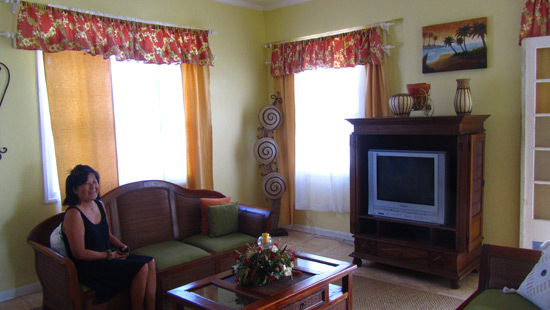 They are tastefully decorated, capturing an old time Anguilla charm with nice decor. Room 2, or the "Premier's Room," is located off of the hallway near the main breakfast room. Beyond the gentle window curtains are pretty views of The Valley and St. Martin. On clear days you can even see St. Barths! The room features one single and double bed. The decor is inspired by the local surroundings, with throws, pillows and art-work reminiscent of life on the farm. "Gratitude" is my personal favorite room. The room's soothing decor agrees with me. The bed is a full king-size, the linens comfortable and soothing. The room also features a mini-fridge, perfect for storing small groceries and late nate snacks. The adjoining bathroom is the prettiest in the hotel with rich yet rustic tile-work. Special tip... Buying groceries is another great way to "do" Anguilla on a shoestring. Lloyd's has a small downstairs apartment complete with kitchenette that they rent to travelers. Their individual rooms typically do not feature fridges and kitchenettes, but they are happy to do grocery shopping for you prior to your arrival and store your food. All you have to do is request is upon booking! Lloyd's is famous for accommodating your every need, want and desire. These are two rooms with interesting history. First, "Vintage" is located in the oldest part of Lloyd's! It is well-appointed with charming floral throws and whimsical colors. Room 11 and 12 "Isalah's Room" and The "McNally's Room"
These two rooms are tucked away from the main B&B, in a more private area. They are two separate rooms and are perfect for families of 4. The beds are singles, but can make up as doubles/queens. These two rooms do not have connecting doors. A terrace area joins them. If you take both rooms the patio is yours, and the entire area is closed off for you and your family. 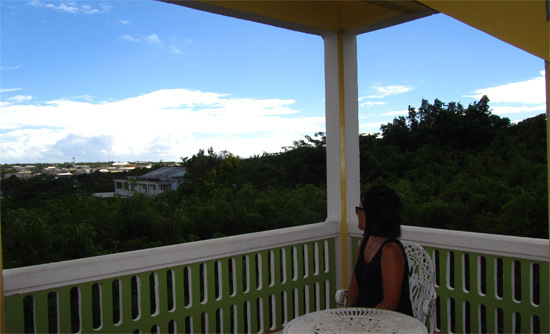 The patio offers scenic views of all of Anguilla. These are just half of the charming rooms you find at Lloyd's. They are each well-maintained and secure. From the local sounds, sights and aromas, Lloyd's captures the original Anguilla we know and love. As mentioned earlier, one of the most prominent parts of Lloyd's is the emphasis on family and unity. Part of the feeling of home and family is eating... There is nothing more universal and symbolic of acceptance and kinship than sharing meals. At Lloyd's you don't just become good friends with Merline and the staff, but with the other guests too. 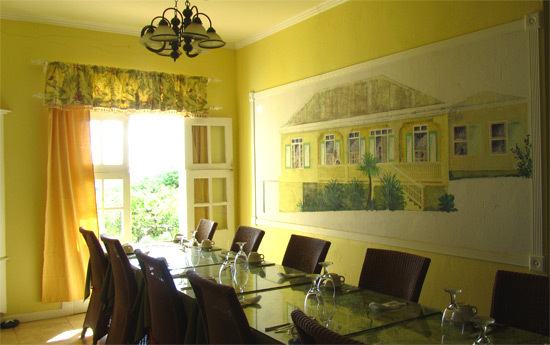 At a long family style dining table, breakfast is served daily and included in the rate. Anything you want (for breakfast), you got it! Merline will whip you up just about anything you want. We sat down to breakfast with a couple of guests on our visit to Lloyd's and had long conversations about the beauty of Anguilla, and the comfort and peace found at Lloyd's. Merline gave us an endless list of breakfast choices. She even does a full English breakfast on Sunday mornings, complete with fried tomatoes! We opted for coffee, orange juice, fruit, scrambled eggs, bacon and a couple of slices of toast. My Mom felt like she was back in our favorite Scottish bed and breakfast we found during a 3 week vacation in Scotland. Special Tip... Breakfast is best enjoyed at the window-side seat. The warming rays beat down through the open window, the breeze cooling you, and the views of the Valley and St. Maarten stretched far, soothing the eyes. That view can be enjoyed at many private spots at Lloyd's. 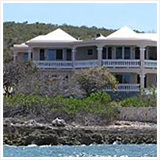 The Bed and Breakfast is located on Crocus Hill, Anguilla's highest and thus most comfortably breeziest point. Lloyd's is central, close to all of the grocery stores, main areas of business and within a short drive of the island's most famous beaches. Crocus Bay is 2 minutes down the hill. Shoal Bay is a 15 minute drive East, while Rendezvous and Meads Bay are only 15 minutes to the West. It is important to be centrally located, particularly if you are renting a car (which I highly recommend doing over hiring taxis, which can be costly) and planning on exploring. Re-fueling in Anguilla can be expensive. The central location help keeps that bill down. Lloyd's is just up the street from the "Old Valley," the most historic and picturesque part of Anguilla. Many picture-perfect chattel houses and the widely-adored restaurant Koal Keel are just a stone's throw away. As mentioned, you don't have to go far from "home" to reach one of the most serene and scenic beaches in the world, Crocus Bay. And from Crocus Bay, it's just a short boat ride to the island's most secluded, serene and exotic beach, Little Bay. The boat ride is only $15 round trip... Another tip for the shoestring traveler. And, da'Vida, while one of the island's finest five-star restaurants for dinner, serves a tasty and reasonably priced lunch during the day, next door at their Bayside Grill. If you are looking to save money, you can even skip the rental car. Crocus is within walking distance to Lloyd's. You can choose to spend your vacation "at the beach" by staying at Lloyd's. Anguilla is generally regarded as a primary luxury (i.e., expensive) travel destination... And it can be. 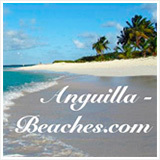 But Anguilla is so much more than the wide, white sand beaches, five-star restaurants, private chefs, villas and jets. 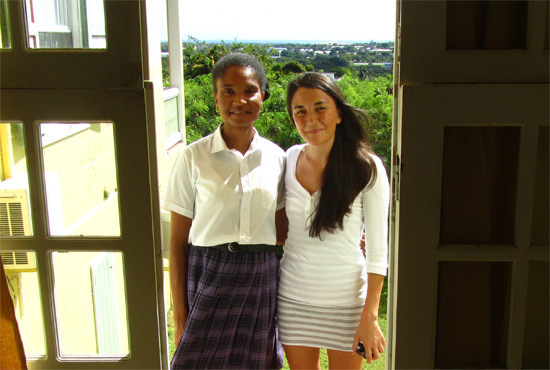 You don't need to spend tens of thousands of dollars to embrace the culture, warmth, kindness and people of Anguilla. At the other extreme, there's no such thing as "cheap package deals to Anguilla." But you can get the best of both worlds at Lloyd's B&B. Speak to any Lloyd's guest and you will encounter a most unique and well-traveled soul with fascinating stories of Anguilla. A long list of return guests speaks for itself, as does its 50+ years in existence (the longest standing Anguilla hotel). 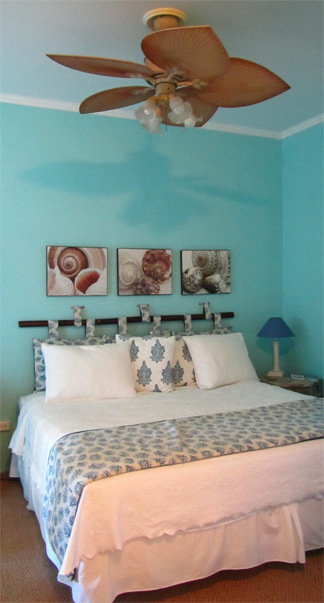 Lloyd's B&B is the #1 budget choice for solo travelers (Anguilla is perfectly safe for solo women), newlyweds, couples, families and long-term Anguilla lovers, embodying the Anguilla of yesteryear (with all the modern amenities). 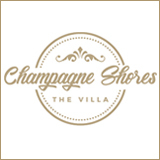 Website: Click here to book and for inquiries.